a motorcycle drove through and no one flinched. OK. I cried uncle. 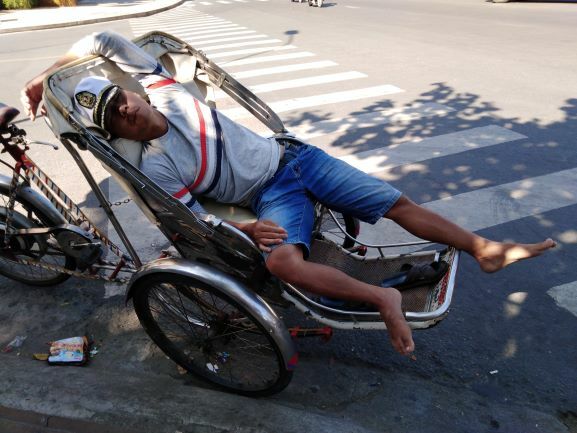 I couldn’t handle Saigon (aka Ho Chi Minh City). Too many bikes. A motorcycle even drove through this dive while I was eating, giving a new meaning to drive-thru. The only people who walk in Vietnam are tourists. 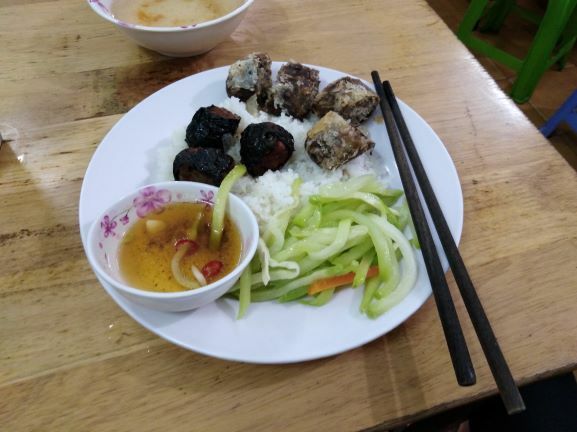 I was in Saigon just long enough to fuel up on some tasty dishes and caffeine. The food? I could eat there forever. 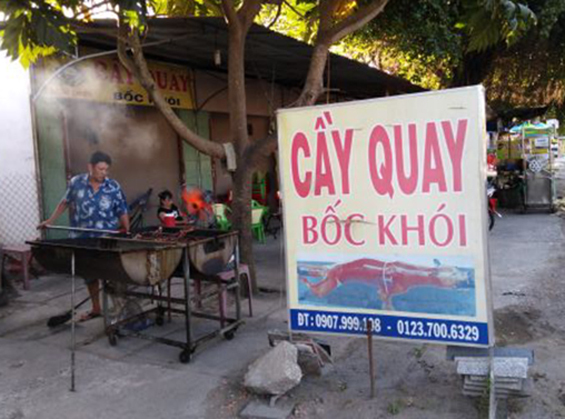 While northern Vietnam is all about noodles, Ho Chi Minh City has a lot of sassy sausages and grilled meats. But the traffic was psycho. The only people who walk in Vietnam are the tourists. 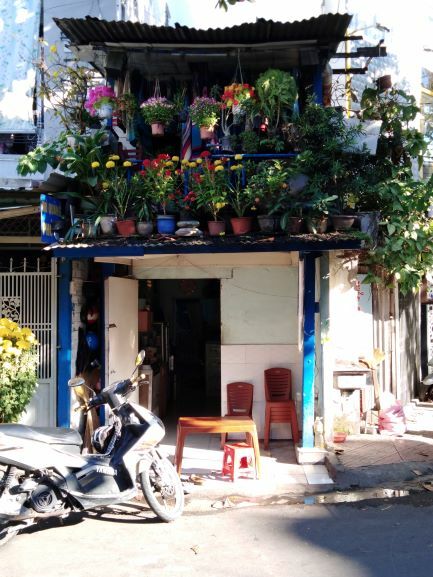 So I made my escape from the psycho traffic to a homestay in the Mekong Delta. 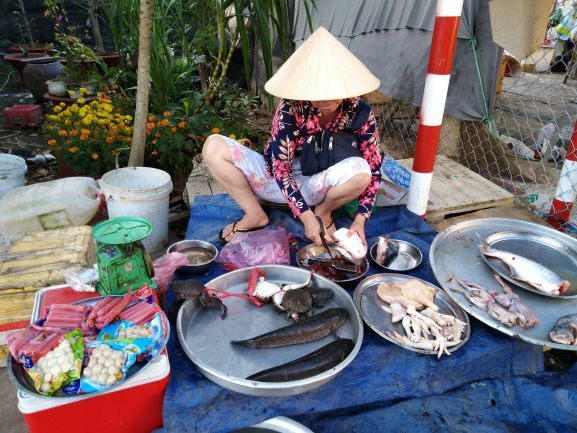 It wasn’t in a village on the outskirts of Ben Tre (imagine a jungle version of Hooterville minus Uncle Joe plus a lot of bugs). 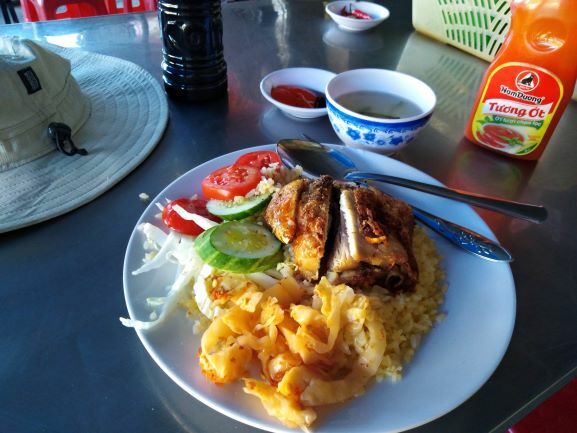 I rode my rickety bike to the main drag and food choices were slim pickins. About all there was to eat was frog and dog. I refuse to eat anything that might turn into a prince if I kiss it. Yes you can eat dog. And no, I didn’t. I kept peddling until I found chicken, or at least something that tasted like chicken. So that means it could’ve been about anything. While Saigon has insane traffice, Mekong has insane scenery. Homestays are a great way to experience the country areas. You won’t always get a hot shower, but you will get wifi. I recommend making reservations at a portal such as Agoda.com and train tickets at 12Go . Both have great customer service to help you with problems because when you travel in Asia? You will have problems. Nha Trang, Vietnam. Smaller hotels have a smaller price tag and big charm. How to get from Saigon to Mekong? 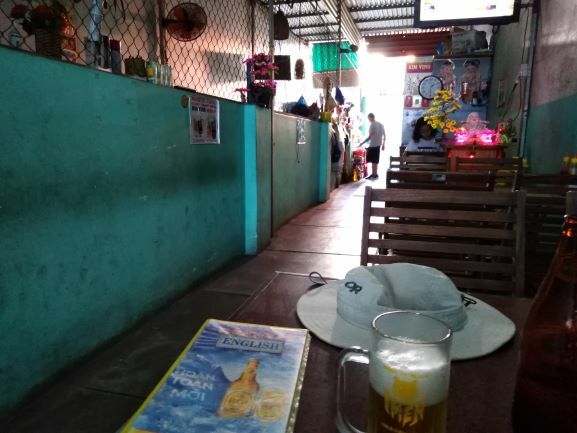 If you are dong-pincher, take a bus from the Mien Tay bus Terminal, which serves the southern provinces of Vietnam (not the same station that goes to Hanoi). Price? (100,000 dong, just over four bucks) TIP: if you are buying your ticket at the station, tip your cab driver to stand in line and purchase the ticket for you. The bus station is as chaotic as Saigon traffic. The ride down from Ho Chi Minh City south was less than ninety minutes. The bus line I took to Ben Tre was Futa: the bus company arranged for passengers to get rides to our destinations. Not, this guy, but vans. Bummer. Trains do not go to Ben Tre but hey, it’s only ninety minutes. 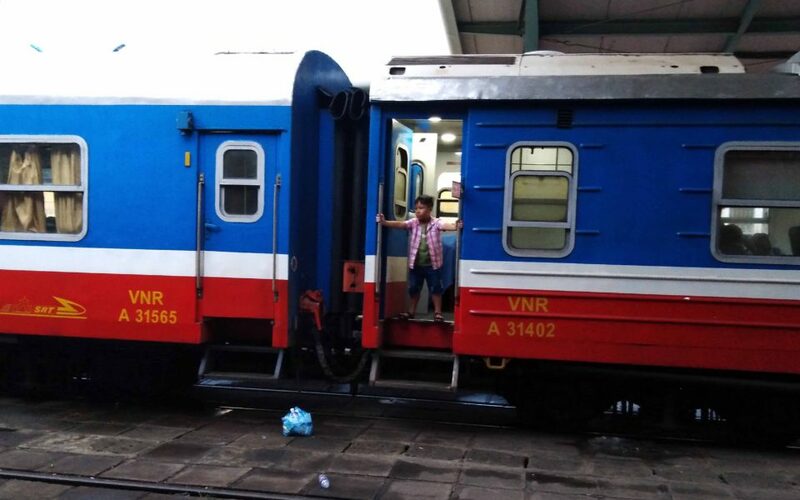 TIP: if you take the train in Vietnam, splurge and pay a bit extra for first class. That way, you’ll have head room to sit up if you get tired of laying down. Nha Trang train to Ho Chi Minh City, Vietnam. Not only can you smoke on the train, you can also purchase cigarettes on the train. Tagged ben Tre, Bus Travel Mekong, dog, Mekong Delta, Vientam. Bookmark the permalink.